Last Thursday I got invited to be a volunteer diver for the MATE 2009 International ROV competition (http://www.marinetech.org/rov_competition/2009/index.php). It was alot of fun and I got to see alot of really impressive ROV designs that high school and college kids came up with. Many of them out performed the comercial grade ROVs that I have worked with in college and in NOAA! take a look at these photos! 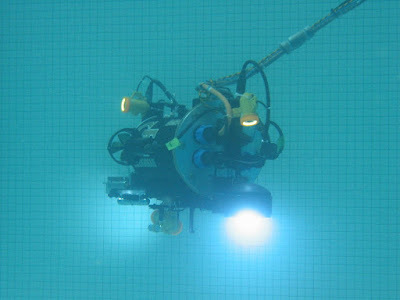 One of the women running the competition made this video showing what the ROV's would have to do for the cometition. Check it out. Then the photos I sent you would make more sense. 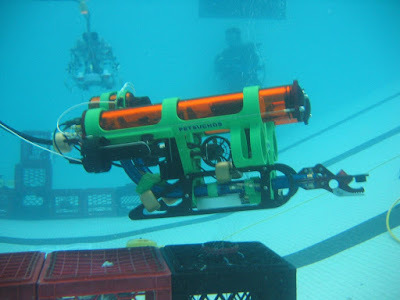 My job was to reset the course when the ROVs were done completeting or destroying (accidently) them.